November 13, 2018 – Onda is pleased to introduce the MCT-1200, the latest digital measurement technology to acoustically characterize and monitor the total pressure in ultrasonic cleaning processes. Its advanced software include features to self-calibrate the unit with an absolute reference meter (MCT-2000) to ensure traceability to a National Laboratory. Furthermore, the MCT-1200 is designed to support continuous monitoring requirements to ensure the stability of cleaning processes. October 25-27, 2016 – Onda is pleased to announce that Technett, Onda’s sales partner in France, will be exhibiting at Semicon Europa in Grenoble, France. Please stop by booth 1014 to say hello and receive a demonstration of the MCT-2000 cavitation meter. To schedule an appointment or to learn more about Technett, please visit their website. September 12-14, 2016 – Onda is pleased to collaborate with Honda Electronics, SUSS MicroTec, and the University of Arizona to present a study which evaluates the acoustic performance for two 3 MHz transducers used for photomask megasonic cleaning. New methods to measure stable and transient cavitation were applied to two megasonic cleaning devices. One is a novel design consisting of a transducer coupled to a tilted, truncated quartz cone with a 4 x 6 cm elliptical flat surface, coupled with the substrate by cleaning fluid infused through the cone. The second device is a spot shower that uses a smooth jet of cleaning fluid to convey the sound. Results of the measurements, acoustic maps and schlieren imaging are used to explain the cleaning performance of each device. To download the poster, please visit the Resources page HERE. For more information about the symposium, please visit HERE. July 12, 2016 – Onda is pleased to exhibit at Semicon West in San Francisco from July 12-14. Demonstrations of the award winning MCT-2000 cavitation meter will be available. For more information about the MCT-2000, please visit HERE. 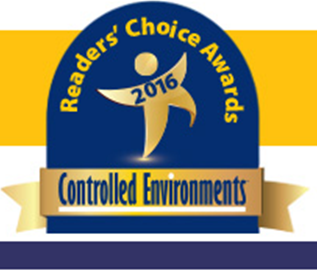 May 16, 2016 – Onda is pleased to announce that the MCT-2000 Cavitation Meter has been voted the Best Monitoring/Instrumentation Product in Controlled Environments’ 2016 Readers’ Choice Awards. This validates the long-standing need for a measurement solution to quantify the acoustic cavitation useful for various applications, such as ultrasonic cleaning and sonoprocessing. The MCT-2000 measures the fundamental frequency and pressures from the direct field, stable cavitation, and transient cavitation in SI units (i.e., Hz and Pa). This announcement appeared in the May/June 2016 issue of Controlled Environments Magazine, as well as in the digital edition HERE. 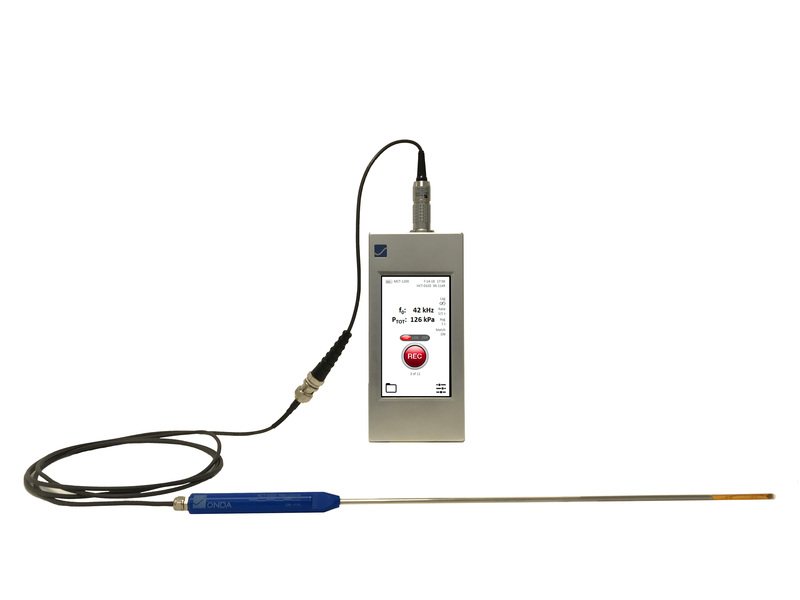 For more information about the MCT-2000 cavitation meter, please visit the product page HERE. April 19-20, 2016 – Onda is pleased to collaborate with Honda Electronics and the Department of Materials Science and Engineering at the University of Arizona to present a study which evaluates the acoustic performance for a photomask cleaning system. March 29-31, 2016 – Onda is pleased to participate in two studies with the Department of Materials Science and Engineering at the University of Arizona. Two studies will be presented at the Nanoparticle Characterization and Removal Symposium (NT7). To download the two talks, please visit the Resources page HERE. January 27-29, 2016 – Onda is pleased to exhibit with Woowon Technologies in booth 2272 at Semicon Korea. Onda will showcase the new MCT-2000 cavitation meter which quantifies the acoustic cavitation performance in ultrasonic cleaning. For more information about the MCT-2000, please visit HERE to access the datasheet.